I love shopping online. Just a few weeks ago, I found this website called Shopnbc.com. I have watched some of their shows on TV, but I have never tried buying anything from them. Last week, I got very very interested in microdermabrasion. I found out that you can actually buy a personal microdermabrasion for as low as $120.00 only! It is cheaper than going to your Dermatologist and pay $150.00 up per visit. 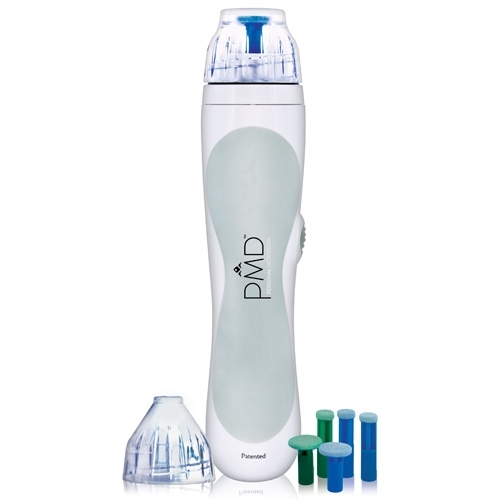 This personal microdermabrasion that I am talking about is called PMD, as shown in the pcture above. I read a lot of good reviews, So last week I decided to buy PMD, I have not received it yet but I can not wait to try it on my face and see if it will help the scars on face fade away.